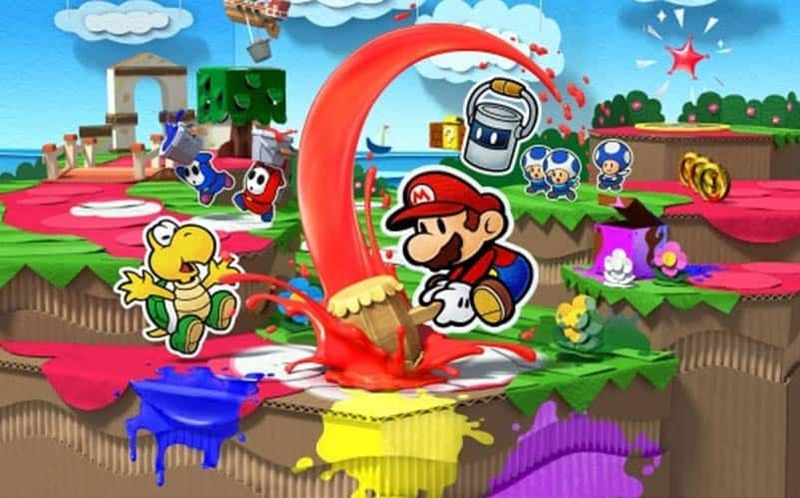 Paper Mario: Color Splash & The Importance of a Good Release Date | Nerd Much? If there’s one thing we’ve learned about video games in 2016 so far, it’s that a video game’s release date can sink or swim a game. The latest example of this is Paper Mario: Color Splash, the only major release for the Wii U for this holiday season, and aside from Pokemon Sun and Moon, it’s the only major release for Nintendo this season in the grand scheme of things. But the Paper Mario: Color Splash release date came and went, and it didn’t make any splash at all, colored or not (sorry, I had to). Now, typically speaking, when a game releases and no one talks about it, you’d rightfully assume that the game is trash and it’s not worth the conversation — but that’s not always the case, as Color Splash exemplifies. 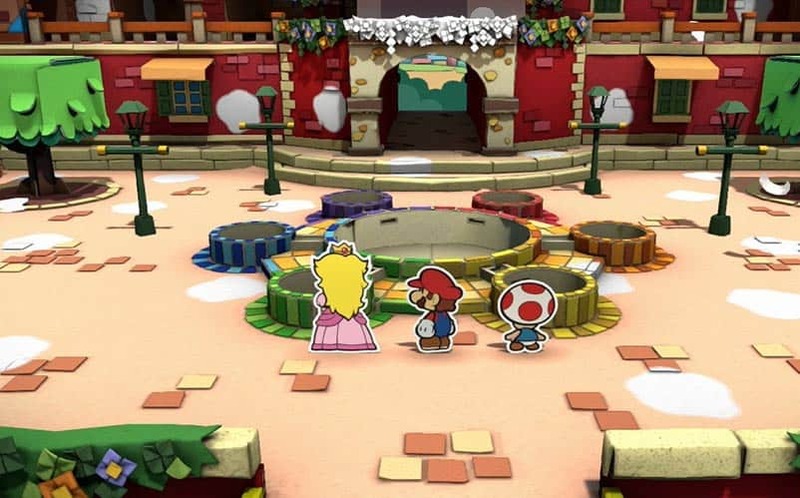 In fact, the new Paper Mario game is actually quite good. It’s filled with brilliant level design, a colorful palette that’s typical of 3D Mario games, and some clever ideas. While its battles might be a bit too slow for some, Color Splash’s delightfully cutesy and clever design shouldn’t be ignored. But here we are, just one week after its release, and no one is talking about this game. Why? Nintendo chose the worst possible date to release the game. September saw the release of some of the year’s most anticipated games, including Forza Horizon 3, XCOM 2 on consoles, and NBA 2k17. In the first week of October, we were given Mafia 3 and Paper Mario. On the 11th, the video game release schedule started to get a bit tighter with the release of Dragon Quest Builders — which is incredible, by the way — Rise of the Tomb Raider, WWE 2K17, and Gears of War 4. Just two days later, the gaming community was turned on its head with the release of PlayStation VR and all of its games (which, for the record, has also exceeded our own expectations). Next week, we’ll see Battlefield 1, Civilization VI, and Titanfall 2, as well as The Elder Scrolls V: Skyrim Special Edition. Where, in that equation, will people find enough money to purchase little ‘ole Paper Mario: Color Splash? With so many other major games already released or releasing soon, it’s not probable that many are saving their hard-earned cash for another Mario game (despite the fact that it’s a good game). Instead, they’re going to get Battlefield 1 or Titanfall 2, or any of the other big games that are positioned for Christmas. Paper Mario, meanwhile, doesn’t quite fit into that holiday timeslot mold. Let’s throw out some arbitrary numbers for the sake of argument. Let’s say only 20% of Wii U owners are so interested in Paper Mario that they’re 100% sure they’re going to buy it. Now, let’s say there’s another 45% of Wii U owners who were thinking about buying Color Splash but were planning to wait on the reviews/word of mouth to gauge whether or not they’re going to actually buy it. Again, these are both arbitrary numbers and they’re not based on any factual evidence. If the game releases in October — the heat of the big video game release season — that 45% is likely going to pick one of the other major AAA games that are more formidable, if for no other reason than those games being more socially relevant in the gaming community. Now, if that same game were to release in a month like February, in which there is little competition for big AAA games, that 45% who were only debating buying Paper Mario would be much more likely to actually go through with purchasing the game. With 12.8 million Wii U’s sold since 2012, and the fact that Paper Mario is only of interest to a fraction of those, it’s already setting itself up for failure. 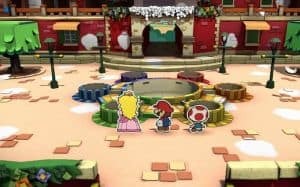 Potential customers only have a fixed amoung of discretionary budget to actually spend on video games, so if they’re spending their $60 on Battlefield 1 and Gears of War 4, they’re not going to have anything left for Paper Mario: Color Splash. I’ll even go a step further and suggest that Paper Mario: Color Splash might have seen more success if it would’ve been slated for a March 2017 release alongside the Nintendo NX (you know, if the NX is actually still releasing then). No, it wouldn’t be a system seller I’m sure, but it’d still likely see more sales as people would be looking to get the most use out of their new console. I’ll also note that we’re starting to see more publishers take advantage of this idea of releasing games in the “off-season”. Look at the success that Dying Light saw when it released in late January/early February. Had it released in October 2015 and gone up against Halo 5: Guardians, WWE 2K16, Call of Duty and Fallout 4, it wouldn’t have been able to carve out its own success, and would’ve been lost in the hustle and bustle of the holiday release season. The same occurred with Unravel‘s February release this year; had it hit retailers in October/November, no one would have even played it. It goes to show that a game’s release date is more important than you might have previously thought. Look at what happened with Battleborn, a game that, by no means, is a bad game. But its biggest issue was that it released a week prior to Overwatch, and it simply wasn’t as good. And since it wasn’t as good as Overwatch, people skipped Battleborn to play Overwatch. Yes, we realize that these are two entirely different types of games, but they both have the appearance of being a hero shooter, despite the fact that Battleborn goes much heavier with the MOBA elements. If Battleborn squeezed itself out a month or two sooner than it did, we might be reading about Battleborn Halloween Event Loot Boxes instead of reading that the game is rumored to go free to play (although, that’s being denied by Gearbox right now). With Paper Mario: Color Splash, the fact that no one is talking about it isn’t a reflection of its quality. It’s a great game and we’ll have a full review of it up for you to read soon, but just know it’s well worth picking up, despite the fact that your friends probably won’t play it. If you’re interested in checking it out, you can pick it up on Amazon.